Consumerism has been a fact of American life since the 18thcentury, when English merchants figured out that the colonists would pay high prices for clothing, furnishings, and even tea – goods that made the colonists feel like Englishmen and not like provincials in some far-flung empire. Industrialization in the 19th century provided even more goods for consumers, but it was only in the mid-20thcentury, after the end of World War II, that consumer goods became widely and easily available to all Americans. In particular, automobiles, television sets, and even houses were suddenly affordable, available, and within relatively easy reach of most people. For the men and women flooding St. Mary’s County for jobs related to the Patuxent River Naval Air Station, the place must have seemed like a colony in some far-flung empire. Harold Herndon, who came to St. Mary’s in 1960 to interview for a teaching position with the Board of Education, remembers that he “couldn’t find the place on a map. It took forever to get down here and I was trying to figure out, what in the world have I gotten myself into?” All these new souls would need those goods and services increasingly expected in post-World War II America, goods and services that signified one’s status as an American. 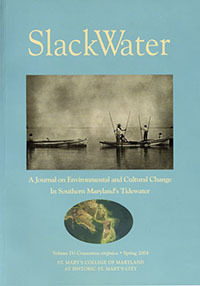 As Lord Baltimore had discovered in the 17th century, so these new arrivals were discovering in the mid-20th, there was opportunity – and lots of it – right here in St. Mary’s County. Lexington Park became the center of the new boom town and the new consumerism. They call it the Round Table. It’s a circular table in the front of Linda’s Café in Lexington Park and it’s positioned close enough to call to the waitresses behind the lunch counter and close enough for the waitresses to eavesdrop on the Round Table conversations. Two or three times a day, eight men used to come into Linda’s and let their aging bodies, bones, and stories collapse into the chairs. “If I could be a fly on the wall,” Linda’s Café owner Linda Palchinsky comments, “and just listen to those men talk, I would be so educated. They have so much history.” These eight men ordered Linda’s eggs and coffee, but mostly they came for the atmosphere. And like the rest of Linda’s loyal customers, they relished the feeling of community. Today, only three knights remain at the Round Table. Loyal patrons have watched the knights over the years. They’ve seen these men, whose stories hang in the air for others to take in along with their eggs and toast, age and fade away one by one. Indeed, before there was the Roost, which first opened in 1947, there were almost no restaurants in St. Mary’s County. Tobacco, corn, and wheat dominated the landscape. If you wanted a snack or a light meal, your best bet was to frequent one of the many general stores along the county’s highways. For a more formal meal, you’d have to travel to one of the old wooden hotels along the shoreline, such as Point Lookout Hotel, Tolson’s Hotel at Piney Point, or Point Manor at Cedar Point. 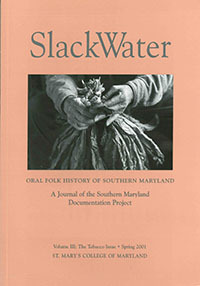 With the construction of the Patuxent River Naval Air Station in 1942, however, and its ongoing expansion, newcomers began invading the hills of tobacco and the rows of corn. By the 1960s and ‘70s, the military had come to define this part of the county. They named it, too: Lexington Park, for the World War II aircraft carrier by that name. Many Navy families stayed put when their tours of duty ended, choosing to open businesses in Lexington Park. They sensed that these grounds were fertile for a different sort of economy. Newcomers like Jack Daugherty and Jack Rue, the first owner of the Roost, invested themselves in their businesses and laid the foundations of a new community. Such men sat at the Round Table. Jack Daugherty bought and sold land and owned a sports store, as well as the “Merchandise Mart,” an Esso gas station, a radio station, and a bank. He built the first Roost Restaurant for his friend, Jack Rue, in the spot where Raley’s Furniture now stands on Great Mills Road. You can still make out the old window frames on the side of the furniture store. J. Frank Raley, a young native countian with an entrepreneurial spirit, opened an insurance company in the boiler room behind Daugherty’s gas station. 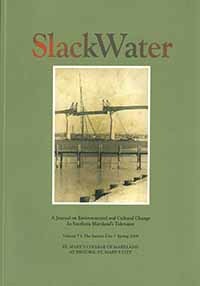 Bob Gabrelcik and Tommy Waring started the water company. Jack Gelrud opened the Park Rexall Pharmacy in a building that still stands in what was once known as the “mixing bowl”. With its original glass-and-brick-columned front intact, it now houses medical suites. “We knew this town was gonna go,” Daugherty explained in 1997. The land promised economic profit, and these men committed their fortunes to that land. Eagerness was mortared into foundations; the future coated the walls in fresh paint; the American Dream reflected itself in window panes. Storeowners would walk out and greet customers, proudly show them around their stores, and call them when new shipments arrived. A line of stores started about where Linda’s Café is today and ran along Great Mills Road on down into Millison Plaza. On Saturdays, this district was so busy that someone had to direct traffic. The businesses that multiplied in Lexington Park as the base expanded were built on undeveloped land. “Remember now,” businessman Larry Millison once remarked, “all of Lexington Park was woods. It’s hard for people to understand this, but it was all woods.” Land was cheap – many people were convinced the base would eventually leave – and those people here wanted things Americans elsewhere were coming to take for granted. Those ‘things’ included cars, TV sets, and other consumer goods. The base generated a boom the likes of which no one had seen since Lord Baltimore put ashore in 1634. Now we’ve lost the Roost, the heart of old Lexington Park. Linda’s Café is struggling. The Hub, Park Rexall Pharmacy, Dietz Shoe Store, the Joy Shop, and other stores of those early days are now only memories. Jack Gelrud lamented the loss of the once close-knit feel of the community. “About 50 percent of the people from St. Mary’s probably came to Rexall. I got to know everyone by name,” he says. “You couldn’t walk into any business and not know someone. Today, I can walk into any business and the chances are I don’t know anyone. That’s the change. And no one reminisces fondly about the Jim Crow laws that, at least before the mid- to late 60s, were in force in Southern Maryland. Fred Talbert, who moved to the county in the ’40s, remembered going to business owners in Lexington Park and Leonardtown, asking them if they would be willing to serve African Americans alongside white customers at their lunch counters. One merchant promised he would, and he did; but he warned Talbert that his counter girl might not. Another merchant said he would serve blacks, but that they had “better not steal anything” because he would call “a lawyer.” Eventually the merchant closed the lunch counter. Nostalgia—the senses of loss and longing we have for a past that often never was—can be a debilitating drug. 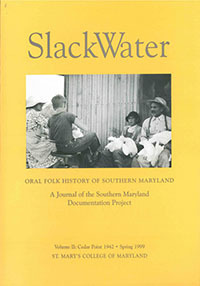 St. Mary’s County in the mid-20thcentury has generated a storehouse of memories, some more happy than others. All of these memories are precious, and all of them are part of that grand narrative we know as the American Dream. Alexandra Todak graduated from St. Mary's College in 2011, majoring in English and French. Jack Rue recalls founding Rue's Roost with Jack Daugherty. Jack Daugherty remembers property acquisition during the boomtown years in Lexington Park. 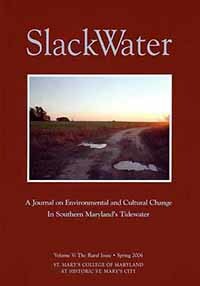 Tom Daugherty tells how slots ruled St. Mary's County--and how he got around them! 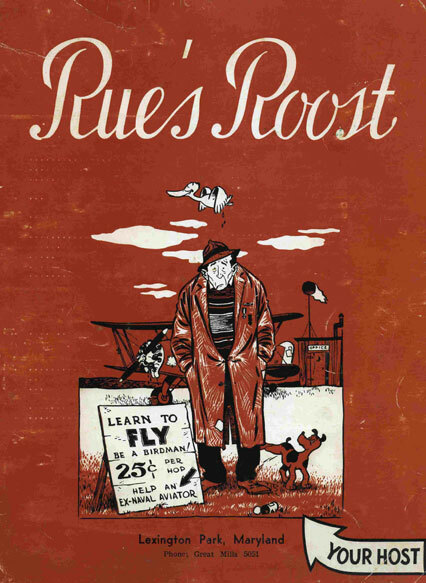 The Roost Menu, front cover. St. Mary's College of Maryland Archives. 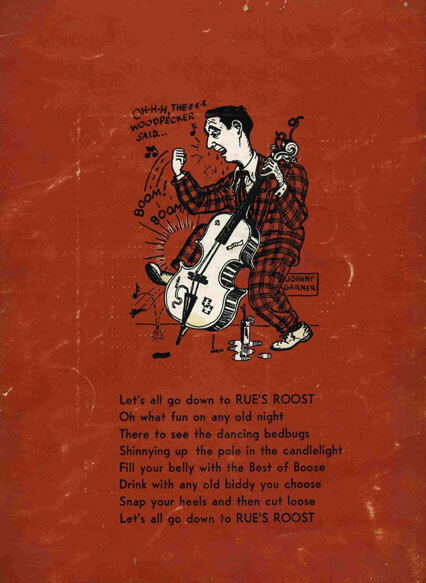 The Roost Menu, back cover. 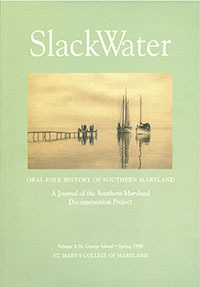 St. Mary's College of Maryland Archives.